"I love this institution - these walls - these people - as much as I love anything in the world." In TOO MUCH SUN, Audrey Langham – a celebrated actress – unravels completely while preparing for a new production of MEDEA. With nowhere else to go, she descends upon her married daughter for a summer by the sea. She is not, however, greeted with confetti and champagne. Her arrival sets off a chain of events alternately hilarious and harrowing. 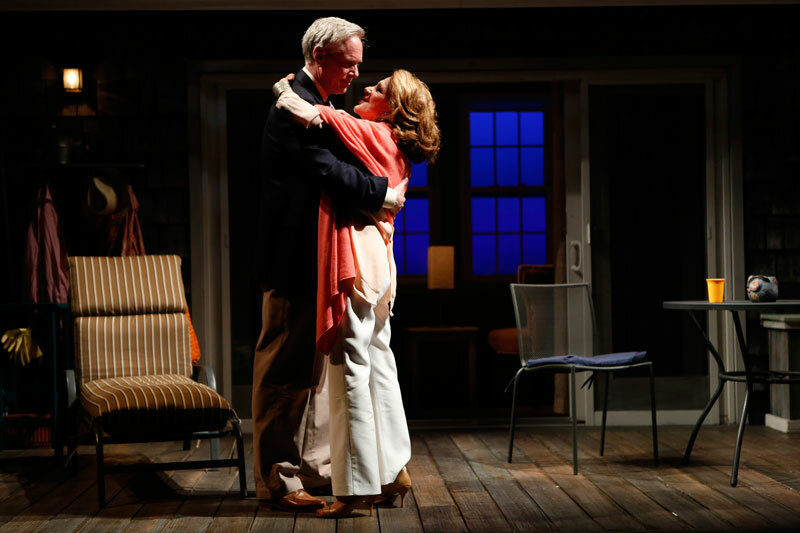 This stirring story of an unforgettable summer reunites playwright Nicky Silver, director Mark Brokaw and Tony Award-winning actress Linda Lavin following their acclaimed collaboration on THE LYONS and its subsequent Broadway transfer. EXTENDED THRU JUNE 22 ONLY! “CRITICS’ PICK! AN UNCONDITIONAL TREAT! 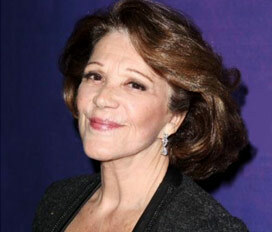 LINDA LAVIN IS AT THE VERY TOP OF HER GAME! SHE IS REMARKABLE. She is in a class by herself, at once monstrously funny and absurdly human. 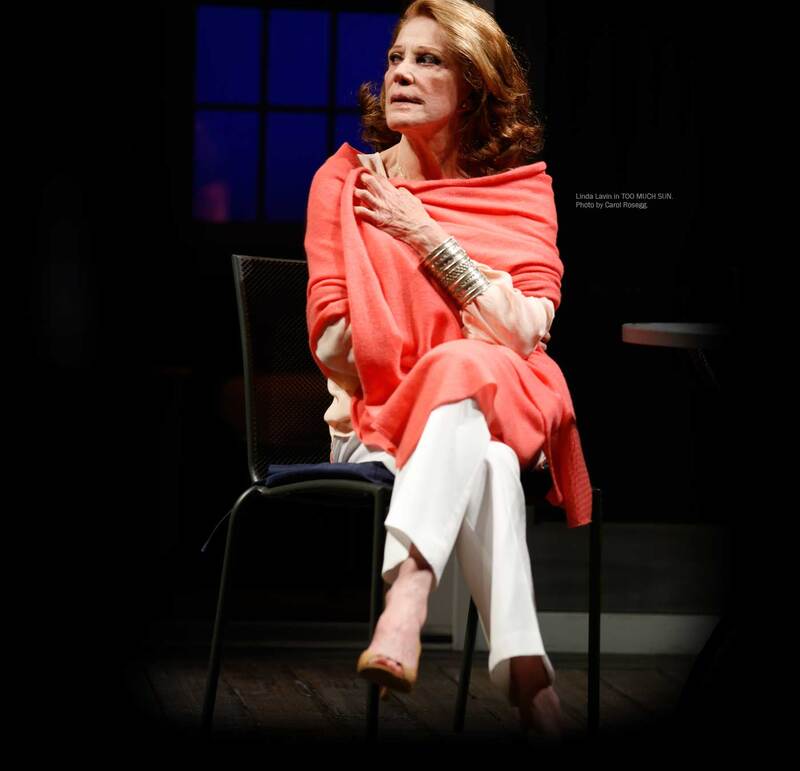 “LINDA LAVIN SHINES BRIGHTLY IN ‘TOO MUCH SUN’! 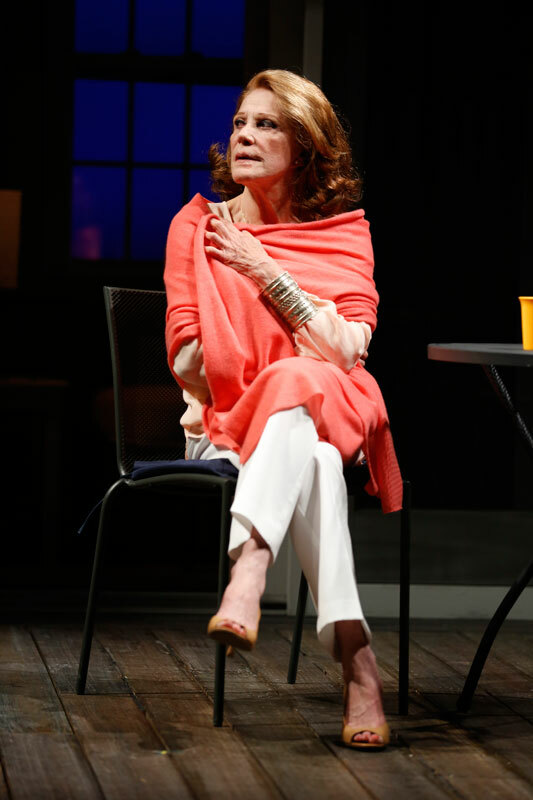 “WE CAN’T GET ENOUGH OF THE DAZZLING LINDA LAVIN IN ‘TOO MUCH SUN’! “SHARPLY DIRECTED BY MARK BROKAW! “LAVIN AT HER MOST HILARIOUS! “ONE OF MR. SILVER’S FUNNIEST PLAYS TO DATE! Director Mark Brokaw extracts outstanding performances from the gifted ensemble. Linda Lavin is wonderfully acerbic. Jennifer Westfeldt gives a poignant portrayal of Kitty. “STUNNING! ‘TOO MUCH SUN’ SHINES BRIGHTLY! LAVIN DELIVERS A TOP-NOTCH PERFORMANCE, THE NEW THEATER SEASON’S FINEST. In TOO MUCH SUN, Audrey Langham - a celebrated actress - unravels completely while preparing for a new production of MEDEA. With nowhere else to go, she descends upon her married daughter for a summer by the sea. She is not, however, greeted with confetti and champagne. Her arrival sets off a chain of events alternately hilarious and harrowing. 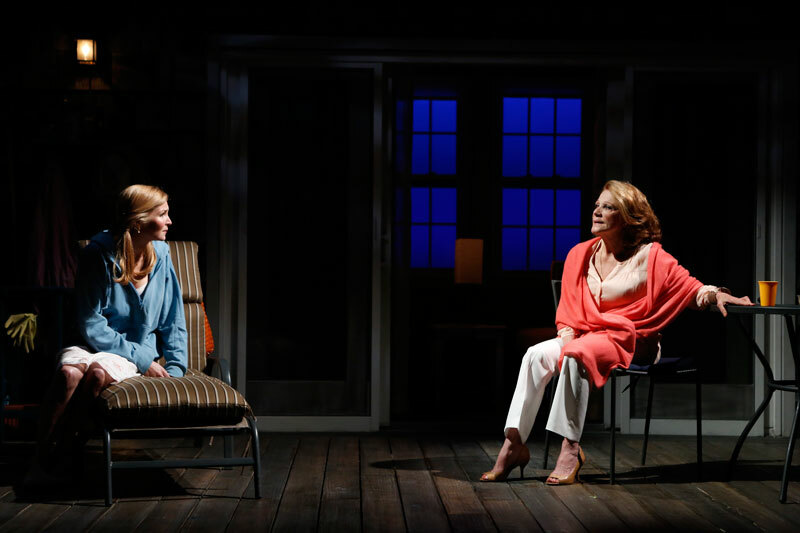 This stirring story of an unforgettable summer reunites playwright Nicky Silver, director Mark Brokaw and Tony Award-winning actress Linda Lavin following their acclaimed collaboration on THE LYONS and its subsequent Broadway transfer. 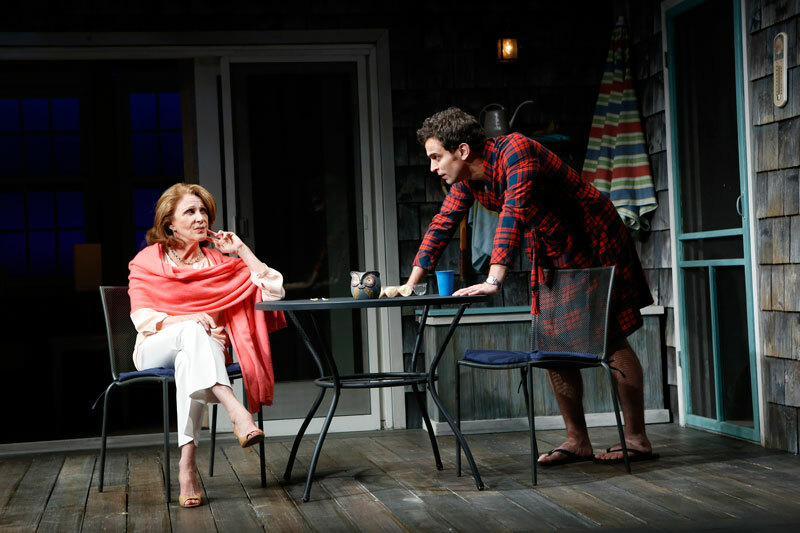 “LINDA LAVIN SHINES BRIGHTLY IN 'TOO MUCH SUN'! She is terrific. Jennifer Westfeldt is excellent." ★ ★ ★ ★ "CHEERS! Too Much Sun benefits from director Mark Brokaw's smooth direction." ★ ★ ★ ★ “ONE OF MR. SILVER’S FUNNIEST PLAYS TO DATE! “STUNNING! ‘TOO MUCH SUN’ SHINES BRIGHTLY! 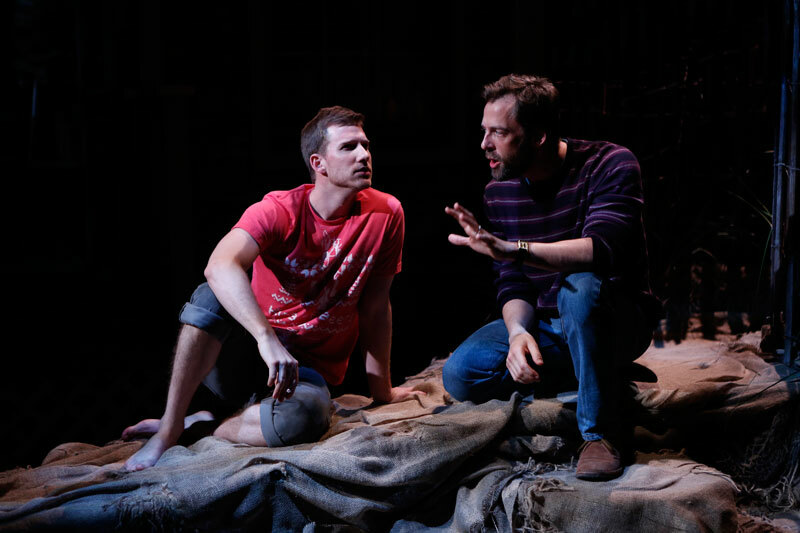 LAVIN DELIVERS A TOP-NOTCH PERFORMANCE, THE NEW THEATER SEASON’S FINEST. Matt Dickson (Lucas) Broadway: WAR HORSE, THE COAST OF UTOPIA. 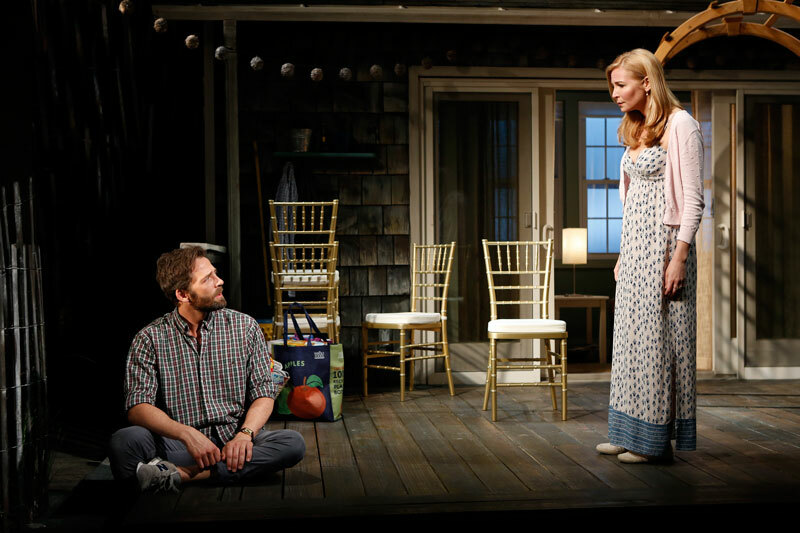 Off-Broadway: THE HOUSE IN TOWN (Lincoln Center Theater). Regional: ROMEO AND JULIET (Playmakers Repertory Company), IN THE BOOK OF (Alabama Shakespeare Festival), WALLFLOWER (Stages Repertory Theatre), SISTERS ROSENSWEIG, SONIA FLEW, THE ROSE TATTOO, LES LIAISONS DANGEREUSES (Huntington Theatre Company), KING LEAR (Actors Shakespeare Project), MUCH ADO ABOUT NOTHING, A MIDSUMMER NIGHT'S DREAM (Commonwealth Shakespeare Company). Television: “All My Children,” “New Amsterdam.” Directing credits include: Ensemble Studio Theatre, INTAR, Studio42, Dixon Place, Primary Stages and Williamstown Theatre Festival. Matt is a member of Ensemble Studio Theatre. B.F.A. from Boston University. Linda Lavin in TOO MUCH SUN. 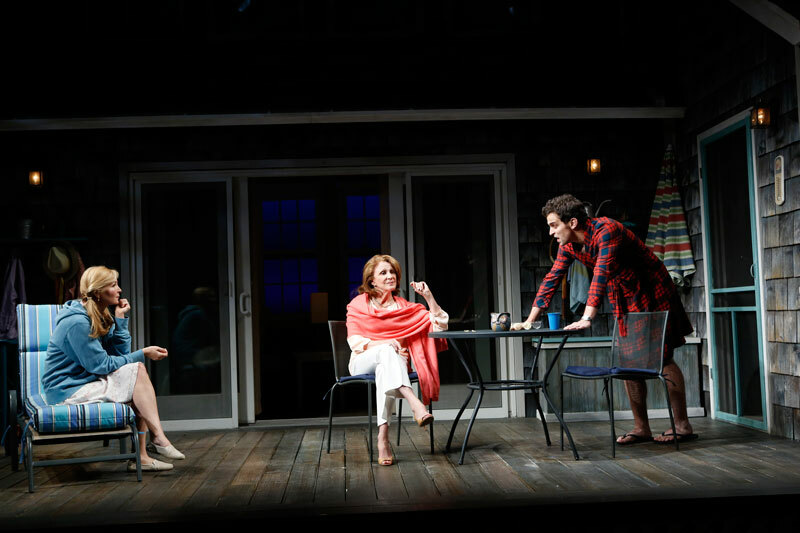 Jennifer Westfeldt, Linda Lavin and Matt Dellapina in TOO MUCH SUN. Linda Lavin and Matt Dellapina in TOO MUCH SUN. Matt Dickson and Ken Barnett in TOO MUCH SUN. Richard Bekins and Linda Lavin in TOO MUCH SUN. 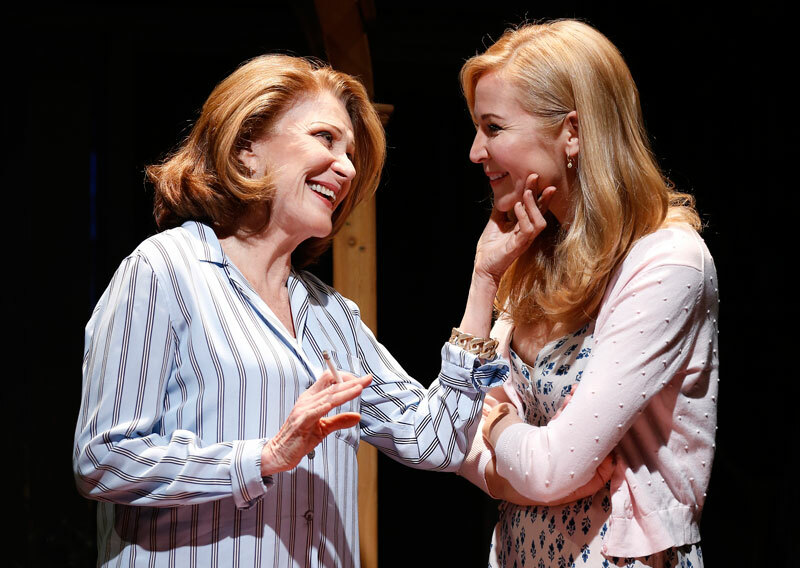 Jennifer Westfeldt and Linda Lavin in TOO MUCH SUN. 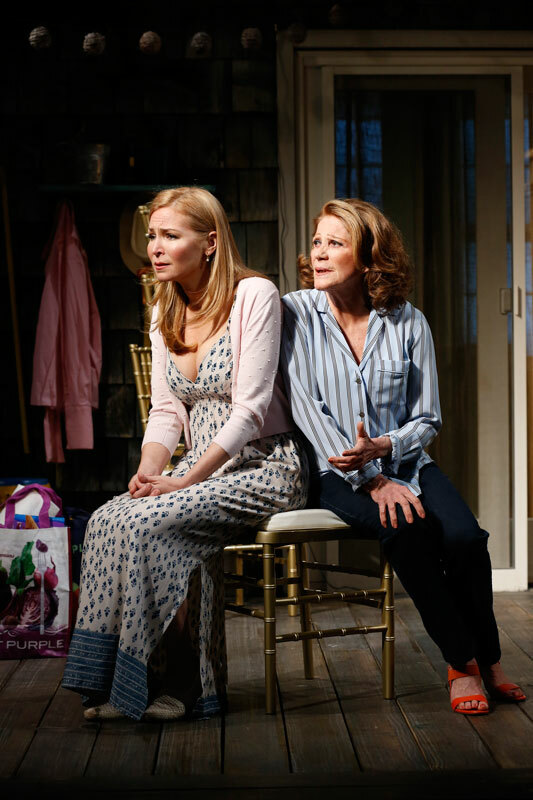 Linda Lavin and Jennifer Westfeldt in TOO MUCH SUN.